Over recent years Manchester has undergone excessive redevelopment and the new attractions have certainly benefited the minibus hire industry. Sport Transport – With so many sports teams being located in Manchester, transport to away fixtures is certainly something that can easily be obtained. A lot of hire companies in Manchester offer this service, whether it is for weekend or weekday fixtures. Airport Transfers – With Manchester being home to one of the largest airports in the United Kingdom, it will be no surprise to hear that practically every minibus hire company in the area provides an airport transfer service. Most have the same sort of package, although the competition in this field means that prices are constantly falling. 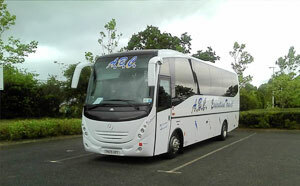 ABC Coach Minibus Hire is a modern company, with their fleet being composed of Mercedes Benz vehicles. All of their vehicles are created to an extremely high standard and this is probably the reason why the likes of Betfair, Granada TV and the BBC rank amongst their clients. The firm have four different vehicles and with all types of events being catered for, they are definitely an establishment that should be considered. Haytons Travel are another large firm in the Manchester region although they claim to cover the whole of Europe. They hold four types of vehicle in their fleet, with standard, executive, corporate and double decker services all being available for customers. With their large coaches holding features such as microwaves, fridges and coffee makers, Haytons Travel could certainly be an extremely viable option for a lot of businesses. Swinton Travel are a slightly smaller firm, with their vehicles holding between 5 and 16 people. However, they are still highly regarded in the minibus hire industry, with most of their business occurring through days out to nearby areas such as Blackpool and Alton Towers. Unlike a lot of firms, Swinton Travel publish a list of prices on their website and a visit to the latter attraction in a 16 seater minibus would cost the consumer £200. Manchester is one of the most vibrant cities in the UK and this of course means that there is a huge market for minibus hire. With so many attractions being situated close by, there is plenty of potential for day trips and along with airport transfers, this is where many minibus hire companies in Manchester make their business.